Healing Touch clinic located in Bangur Avenue, Kolkata provides super specialty care in Orthopaedics and Gynae & Obs. The clinic is well decorated with all basic amenities like -Air-conditioningToiletTelevisionNewspaperMagazineWaiting areaTelephoneRefrigeratorFree Blood pressure and weight checkupWi-Fi on requestThe clinic is Paytm enabled for cashless payments.We have Senior gynaecologist Dr. Vinita Khemani and eminent Orthopaedician Dr. Manoj Kumar Khemani attending the clinic.We also have physiotherapist on board. 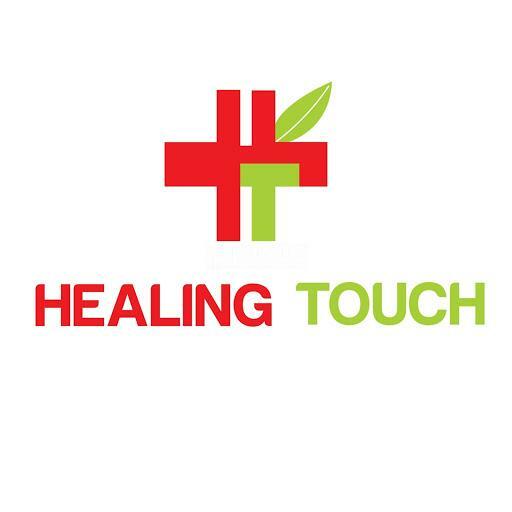 Healing Touch conducts regular checkup camps for patients. Contact us for for more information or appointment booking.Our clinic is dedicated 100% dedicated to your care. If you are not satisfied with our services we will refund your fees.We are listening. Your feedback is very important to us and helps us to provide better service to you. First of all, the doctor's assistant gave me a time for appointment and he showed up half an hour late. When I told him about my knee problem, he didn't do any physical checkup and verbally listened to me in a hasty manner. I have been having his recommended medicine for one week now, but the pain hasn't subsided. Also, he recommended me medicine which was hardly available in any of the chemist shops. I could get only part of the medicine at one shop. Dear Shirshendu, Please accept my sincere apology for being late. We live in a city where in spite of all efforts sometimes we are unable to reach in time. I am not the kind of doctor who blindly prescribes strong painkillers. Although it may give you immediate relief, it will not help to reach the proper diagnosis. I had given you a few tests to find the root cause of you problem. Some knee conditions at your age can cause long term damage to the joint and I always take knee pain very seriously. I don't know where you have asked for the price of the tests, but I am sure these tests could be done in less than Rs. 1800 in many labs. I agree that even this amount can be expensive for some poor people. Some govt. labs can do these tests for even less. Also I do not take fees from any patient coming for the same problem within a week. All my patients have my personal contact no. and I am available for any kind of questions. I am sad that you were not satisfied with our services. Hope your doctor was able to permanently relieve you of your knee problem. We shall strive to serve you better in future. -- Dr. Manoj Kumar Khemani. I went to dr. Manoj khemani for knee pain... he checked my knee properly and gave me good treatment.. i had pain relief within 2 days with medications prescribed by dr. Khemani.. he answered all my queries calmly with a smile on his face.... i really appreciate nice work u r doin sir... will definately consult u again in case of any orthopaedic problem.. thanks a lot..
His experience is very good. I felt like I am talking to a long-time friend. Dr Manoj paid full attention and listened to each and every word I had to say. I felt like 50% of my problem was gone after talking to him! I have never found any doctor having so much patience. Explained every little thing... Clarified all my small doubts ... I strongly recommend him. I am better with a few sessions of physiotherapy advised by him. The best part is that he gave me no medicines, only vitamins!